Need a Sewing Pattern for some Comfy Trousers or Shorts? Are you ready for a cozy pair of summer trousers with a kick? 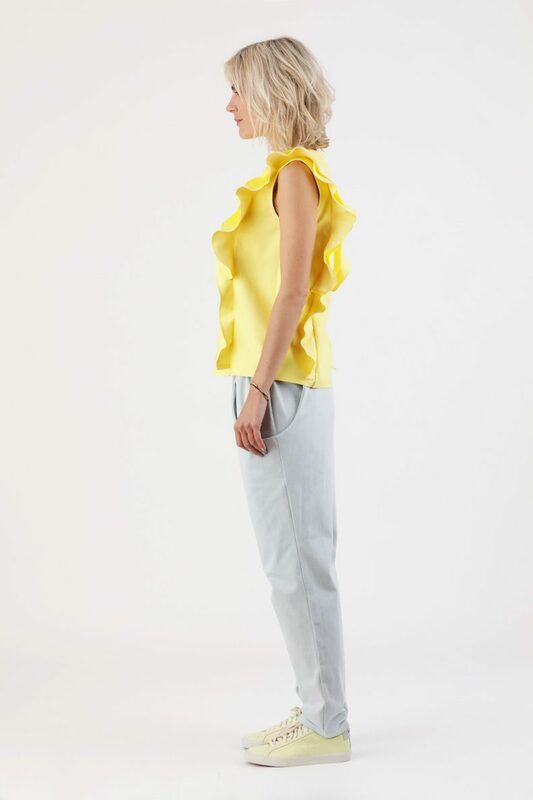 The Anoush trousers sit slightly below the waist and are drawn in by the elasticized waistband on the sides. Refined details are the large round pockets that run along the hips. You can sew the Anoush trousers as long trousers or as shorts. Marijana, the model, is 175 cm groß wears size 36. By the way, Marijana is wearing the Chari Shirt with the Anoush Shorts and the Amanda Top with the Anoush Pants. This pattern is particularly suitable for linen fabrics, soft flowing cotton fabrics, and light wool fabrics or silk. 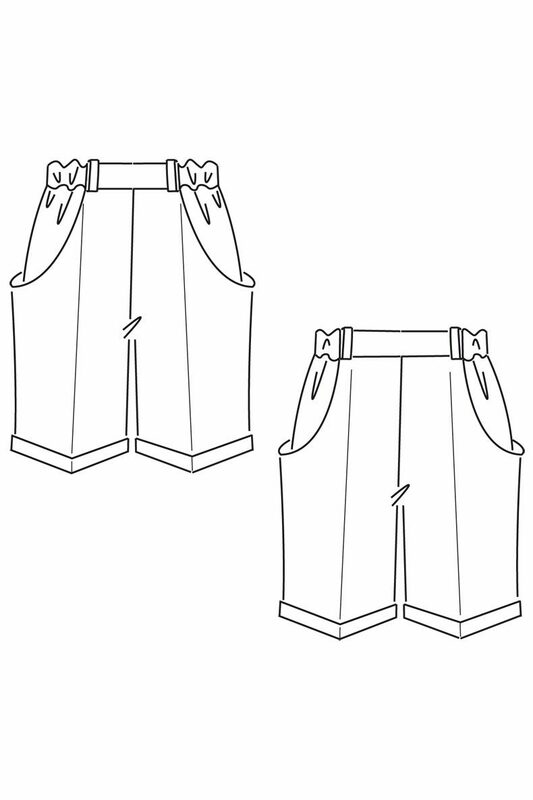 Sewing Pattern Anoush Pants is available as PDF Download. After your order is completed the pdf-download will be forwarded to you via mail or you can download the pattern checking your account. You receive a PDF to print the pattern at home, a PDF (DIN A0) to print at a Copy Shop as well as a PDF-file to print the pattern at our partner Patternsy. Finally time has come and we continue with the designs you have chosen as favorites during our Makers Wish Contest 2016. 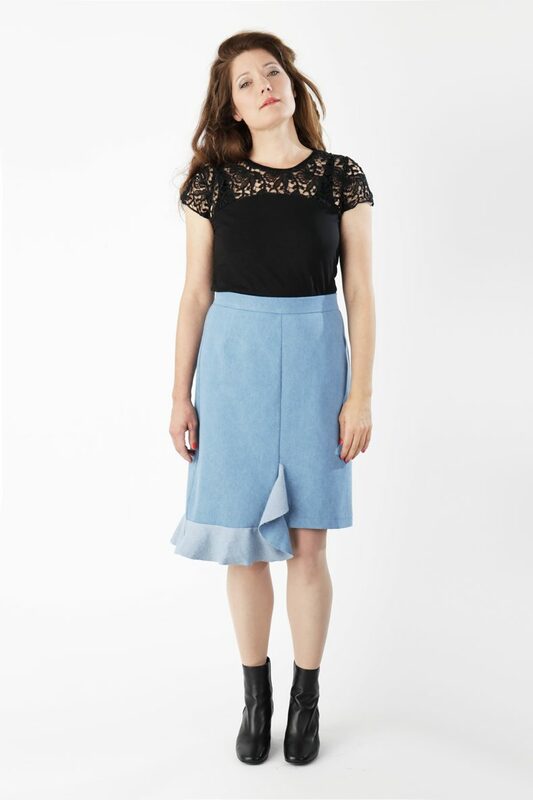 Annett had submitted her design for the “Anoush Pants” and convinced you. 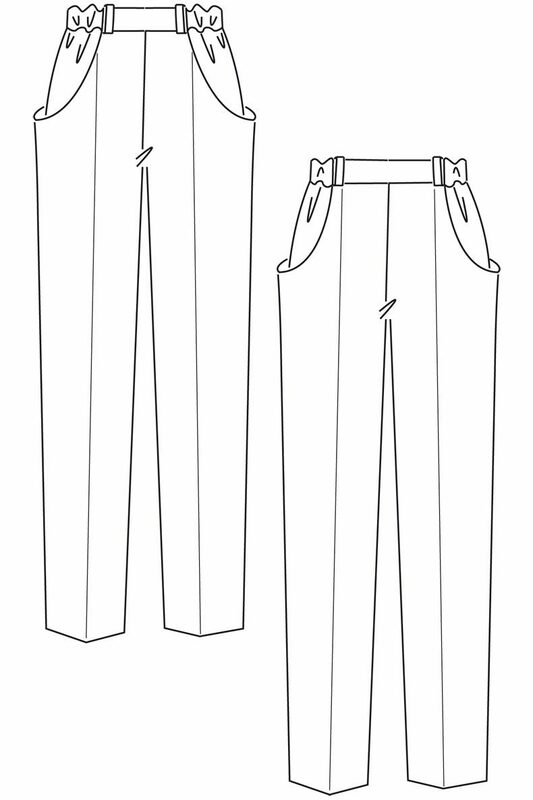 The pants are a “2-in-1” sewing pattern, because they can be sewn either as a long version or as shorts. 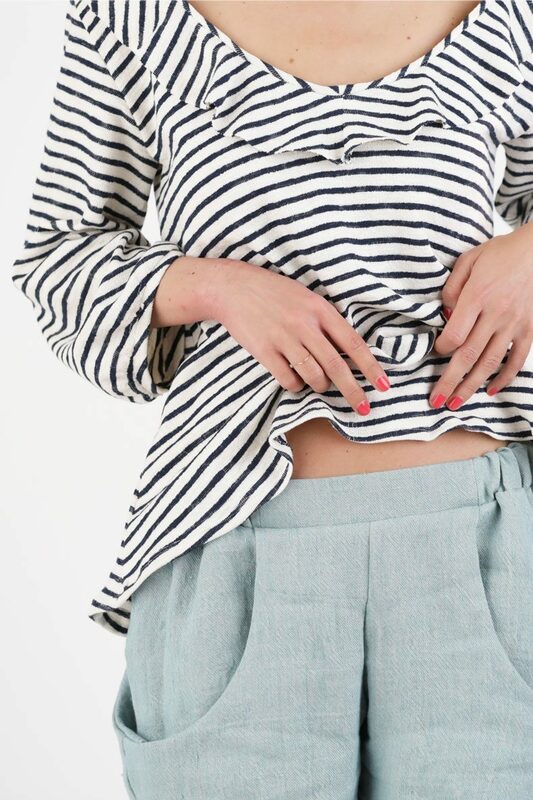 Refined are the deep pockets and the waistband. The latter because of an elastic that is only pulled through the side waistband parts. The front and the back waistband are just straight on the hips. A great pattern for all sorts of fabric and your must-have for this summer! This sewing pattern is available as pdf-download either to print at home as well as to print-at-copyshop (1:1). All files include sizes 34 – 36. You can easily hide the sizes you do not need and you can print the pattern black and white or coloured. After your order is completed the pdf-download will be forwarded to you via mail or you can download the pattern checking your account. Share your makes on Instagram tagging #anoushpants @schnittchenpatterns!